Constituents – who disagree with former Secretary of State Henry Kissinger’s wrongdoings – are called low-life scums by Senator McCain, another blatant proof the Representatives in Washington are not there to represent the people’s interests. Ironically, elections in elections out the constituents march to the beat of electing (and sending to Washington) anyone who promises to represent their interests. Those representatives know darn well they want nothing to do with the constituents; has it not been for the “annoying voting thing”, they would have bypassed the constituents altogether. McCain is not the first or the only Representative in Washington who feels that way; most have expressed one way or another their disdain for the very People they’re supposed to represent. Most debates in Washington are not about doing anything for the People; take any example on any topic and listen to the arguments made by your Representatives. Consider for instance the Healthcare mandate which have been fought, voted for repeal by the Republicans over 50 times. Any logic minded individual would have very little problem to understand it is a good idea for everyone to have health insurance and yet it is fought by your representatives in Washington. Consider the Equal Pay argument, again fought against by the Republicans; any logic minded individual should question why a Representative would oppose Equal Pay. Consider FREE Community College Program, proposal for stricter gun laws, de-privatization of our drinking water and the list goes on and on; at every turn, the decision made by your representatives in Washington run opposite to your interests, and yet at election time you choose to send the same Representatives – who don’t give a hoot about you – back to Washington. So, they finally got your message, you don’t give a hoot about yourself, why should they? 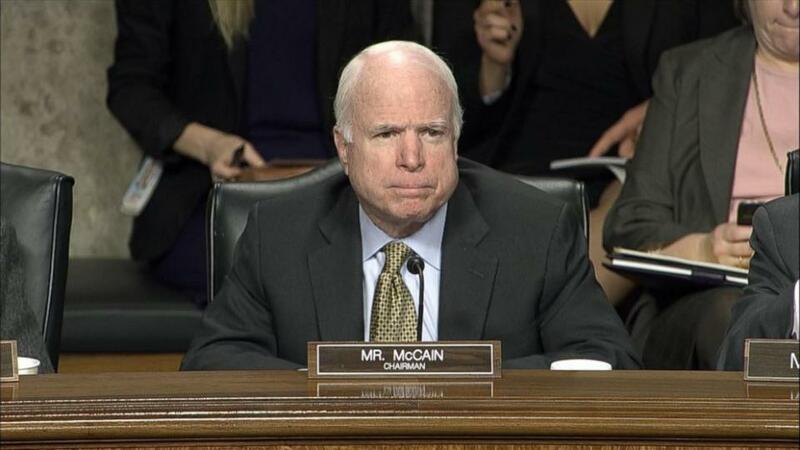 Senator McCain knows there is no penalty for calling the constituents low-life scums; in fact, according to the report, he got a round of applause for treating the constituents like s#*!t. Senator McCain and most Representatives in Washington do not rely on constituents to win elections; constituents are not really needed. Only those who are able to finance their campaigns have a seat at their tables. When a constituent – voicing his/her opinion – is treated unfairly by a Representative – other constituents should see that as an assault to all constituents, for in a democracy elected officials must be held accountable; their primary duty is to serve the interests of the constituents. If those officials fail that very simple and basic task, they are not fit to represent anybody anywhere. While we may not always support or even care about issues that other constituents are passionate about, we should not alienate them by aligning ourselves with the Representatives; tomorrow, it could be you in the very same predicament. This is not to suggest “Us vs Them” attitude but rather to set a clear message that all constituents deserve their voices be heard, their concerns addressed and their opinions respected. Senator McCain is way out of line to call the protesters low-life scums; we, the constituents, should all feel disrespected by McCain’s comment. It is ingrained in our democracy to protest against those, and those ideas, and those decisions and those actions we disagree with. Our protests should not warrant a low-life scum label, much less so from a Representative who’s supposed to represent our interests. The foundation of our democracy rests on our freedom to protest, to voice our opinion, to express our disagreement with our government. To protect our democracy from assaults such as McCain’s, we urge the Senator to apologize to the protesters. True democracy can only exist when we are all willing to fight for the rights of even those we disagree with.